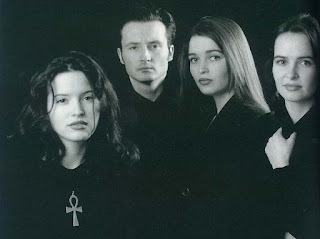 CLASSIC ALBUM REVIEW - THE CORRS - "FORGIVEN, NOT FORGOTTEN"
I remember seeing The Corrs for the first time on a UK TV midday show and being mesmerised by this cute song "Runaway" and thinking firstly what a good looking family (still being said today!) and secondly what a talented group. I was so hooked from that first performance I was telling everyone at work about this new group I found and said they were going to be big. Unheard of anywhere over here so much I tried hard to get the album as it wasn't released iin the UK yet, I searched for months until finally I got this album. Seeing them in later years being massive, I told my co-workers "told you so!". I was so proud of them and sometimes you just know that a talent like that couldn't go amiss. This brilliant debut album was something different for me, beautiful Irish melodies and instrumentation mixed with Pop, it was unique at the time. Andrea, Sharon, Caroline and Jim Corr knew how to deliver a tune with aplomb. When the album was released only "Runaway" dented the top 50 although it did considerably better reaching number 2 four years later. The debut single as I mentioned hit me like a ton of bricks. A simple yet effectively emotive and cutely sung by Andrea. 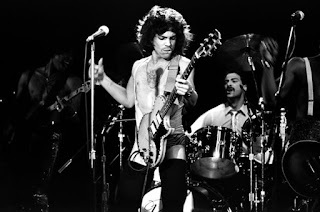 "The Right Time" and "Love To Love You" had Fleetwood Mac influences, the first being abright and breezy number while the latter was a kind of Soft Rock ballad. 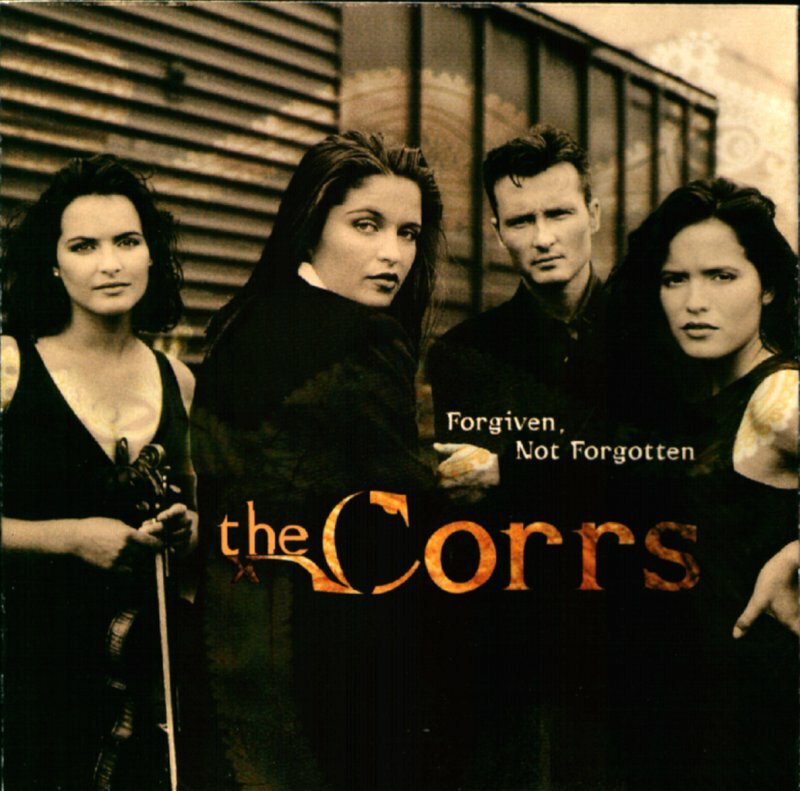 The title track "Forgiven, Not Forgotten" had that mystical medieval feel, Pop Rock with a hint of Celtic backdrop. I had no idea an album with half being Instrumentals would have such an effect on me. "Erin Shore (Traditional Intro)" is the opening track on the album, a sweet minimal Irish instrumental for less than 30 seconds seamlessly linking into the drumbeat of "Forgiven, Not Forgotten". "Heaven Knows" is a more poppy track which reminds me of the singing group Wilson Phillips or early Bangles. Great harmonies showcasing the girls' vocals. "Along With The Girls" is an instrumental that does what it says on the tin! The girls giving us a brief 50 second showcase of their prowess on various classic Irish instruments. "Someday" is a real Pop Rock track, heavier drums than usual, catchy chorus, lots of musical backing going on and it works brilliantly. The Irish song by Thomas Moore is given the Instrumental treatment by the band, "The Minstrel Boy" which then leads in to one of my favourite tracks, storming live favourite "Toss The Feathers". Such a brilliant foot tapper, on seeing the band live this got everyone up and bouncing. Superb musicianship by everyone involved. I never thought one of my favourite songs would be an Instrumental as I am a former songwriter and poetry writer I love lyrics! The traditional Irish Folk song is given the big Rock rendition! "Secret Life" is pure Pop Rock with funky basslines, catchy chorus, crashing drums and searing guitars. "Carraroe Jig" is another Instrumental track and as the title says an irish jig, this is like a toned down "Toss The Feathers" but still gets the feet tapping and your head nodding! Pity it only lasts 53 seconds but I think this album was a nice teasing showcase of what the band would offer in later albums. "Closer" is just a beautiful song, similar to "Runaway" and just as emotive, Andrea's vocals sound lovely here with the very minimal backing, ending with a flourish of atmospheric sounds and vocals to fade. 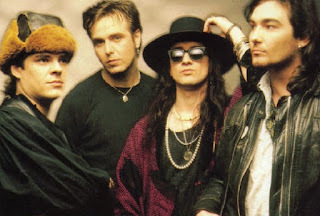 "Leave Me Alone" is a Pop Rock number which reminds me in composition of a Deacon Blue/Blow Monkeys hybrid. A bright uptempo track with various vocals, sometimes doubled up sometimes echoed, a very catchy chorus and "oohs" in the background. Classic Corrs track with the obligatory crossover Irish segment. "Erin Shore" the full version ends the album and is absolutely beautiful. Light, lilting building into a crescendo of ambient sounds and atmospheric chirps and beeps before the masive drum solo which gives you goosebumps. A fabulous end to an album which just said to me, "you have witnessed something great and its going to get better". The Corrs are still an active band today in 2017, having just released their seventh album titled Jupiter Calling (available thru amazon.co.uk who will ship to the USA). They played to a sell out 6000 folk in London's famous Royal Albert Hall only a month back and are putting together a tour for 2018.